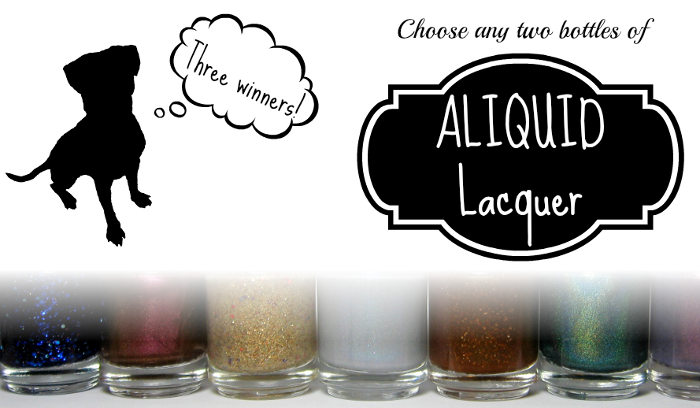 Today's giveaway is sponsored by Alison of Aliquid Lacquer! Alicia has been absolutely wonderful and has participated in a couple of my recent giveaways so it only stands to reason that she should definitely be one of the new indie brands I feature! Along with the giveaway, I will have an interview AND my very first review of some of her products up for you all shortly! In the meantime, take a look at what Alison has planned for 3 lucky winners!